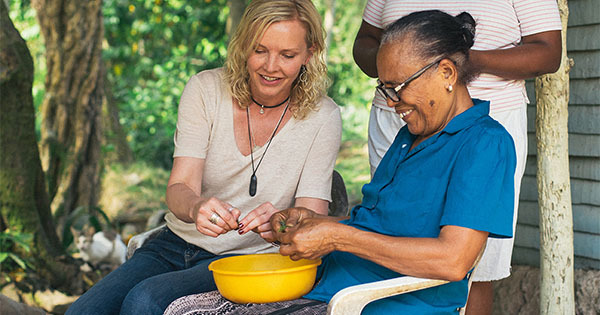 (2:12 p.m. EST) -- Fathom, Carnival Corp.'s new cruise line focusing on voluntourism, has announced four additional social impact activities in the Dominican Republic. In keeping with Fathom's mission to "enrich the life of the traveler and work alongside locals as they tackle community needs," the new activities focus on education, economic development and the environment. Home improvement: Initiatives include house painting, cleaning and planting fruit trees to assist impoverished communities. Travelers will work alongside local homeowners to improve their surroundings. Special Needs Rehabilitation: Fathom passengers will have the opportunity to work with special needs patients at a nearby physical and rehabilitation therapy center. Activities range from participating in game therapy sessions to making orthopedic devices. Arts & Crafts Production with Local Women's Cooperative: Activities at this enterprising women's co-op range from paper recycling to helping out with expanding the association's distribution network. Host Family Experience: Passengers can experience the Dominican way of life firsthand by spending time with a host family and share stories as a way of improving the family's English language skills. Speaking about the new tours, Tara Russell, President of Fathom and Global Impact Lead for Carnival Corporation, said: "We are thrilled to expand our social impact opportunities by offering these new programs that were created together with our local impact partners to address important areas of need for the community." "Fathom was established to give people a way to combine their love of travel with their desire to make a difference. These latest additions to the social impact portfolio will fulfill that promise, giving travelers even more options for getting immersed in the Dominican culture by working alongside its people to create enduring social impact." The seven-day Dominican Republic cruises, which will take place onboard P&O Adonia after a spring refurbishment, include all onboard social impact immersion experiences and a choice of three onshore activities. Prices start at $974 per person, excluding taxes, fees and port expenses. --By Rachel Beard, Destinations Editor U.K.